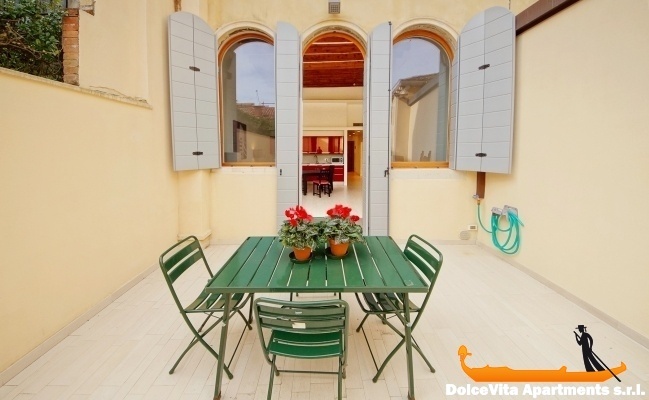 Apartment N. 160: It can accommodate up to 4 people, it is rented from 225 € per Night (not per person). 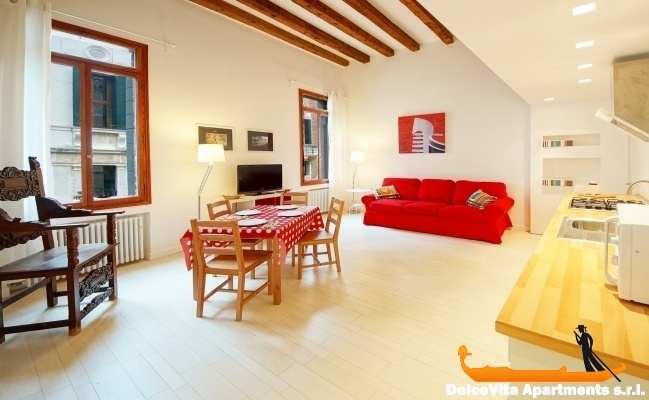 Venice Apartments in Italy for 10 People Canal View: This apartment of 110 Square Meters is located in the historical center of Venice, in the Castello district. This apartment can accommodate up to 9 people. It is composed by 2 apartments in the same building, same floor, door to door. 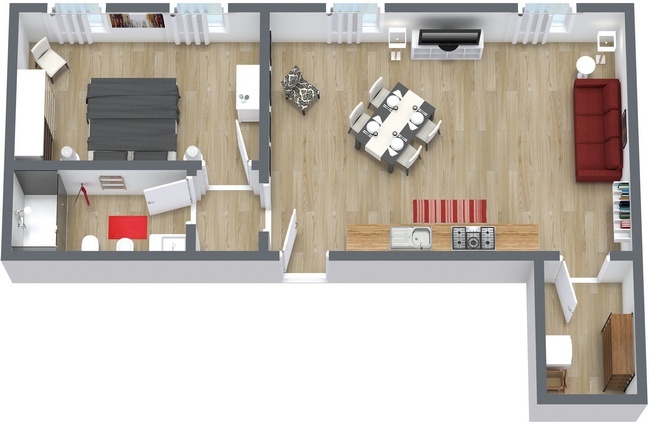 There will be 2 double bedrooms, 2 double sofa bed in the living room and a single bed. One of them has a large and sunny terrace, the other one offers canal view from all the windows. 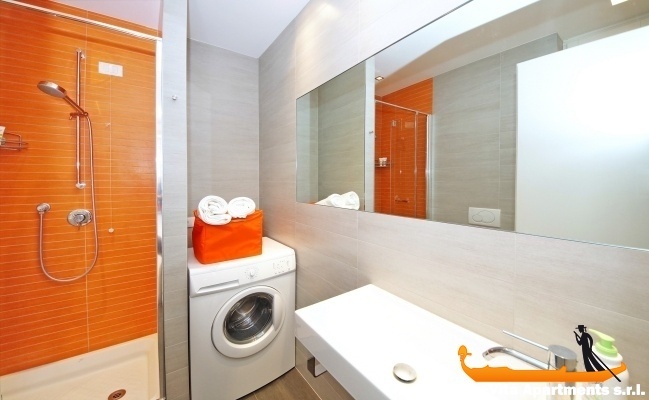 There are 2 bathrooms with shower, 2 fully equipped kitchen and free wi-fi. There is also a baby-cot. 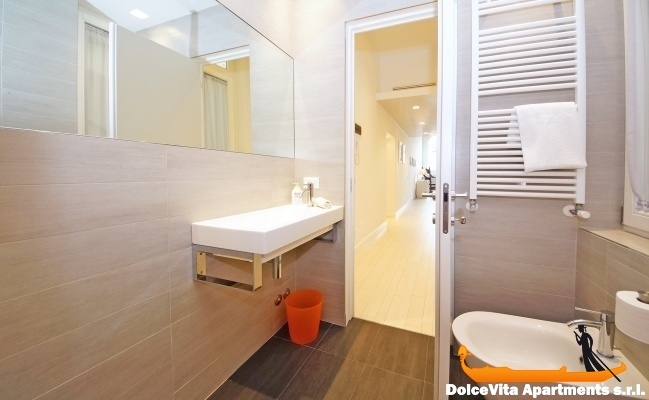 St. Mark square is 5 minutes walking; 2 minutes walking from laundry, atm and supermarket. The water bust stop is 5 minutes walking and you have to cross just one little bridge. Apartment N. 153 is incredibly gorgeous! The communication with Rossana was so easy and made the check in experience stress free. You get exactly what the picture shows, the canal view is so peaceful and relaxing (and before you stress that the canals will smell, they don’t) everything is super close to the apartment. It was great to have the option to cook our own food and to do our washing. Four of us stayed here and we all had comfy beds, one was a fold out lounge and it was perfect. The booking was a breeze, confirmed straight away. Rossana made the check in so easy and explains how to get to the apartment with thorough instructions. Apartment very well located, but noisy because 'calle' passing and waterway very used by the gondolas (which delighted our little girls). Relatively well equipped, even if there isn't a dishwasher. We had a great time thanks to you and Venice! We will be back for sure. We loved this apartment. The location was brilliant and the apartment was lovely. It was wonderful watching the gondolas go by outside the windows yet really quiet and peaceful at night. We would definitely stay here if we are in Venice again. Silvio was great. Really friendly and helpful. 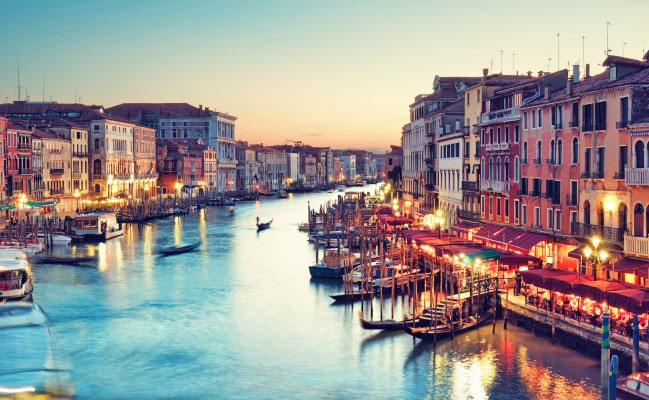 He recommended that we go to see The Merchant of Venice and it was the highlight of our stay. The only small downside to the service was that we would have liked to pay before we arrived by PayPal- we weren't able to, but we just paid cash on arrival. Overall very good. 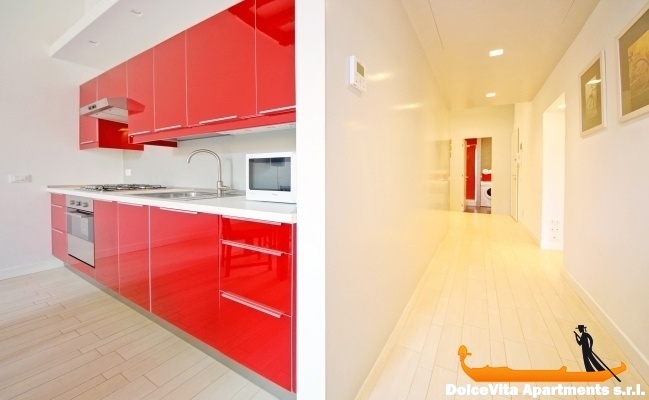 N. 153 is a fantastic apartment. Elegantly furnished, well equipped kitchen, lovely bathroom, good quality bedding and beautiful aspect. 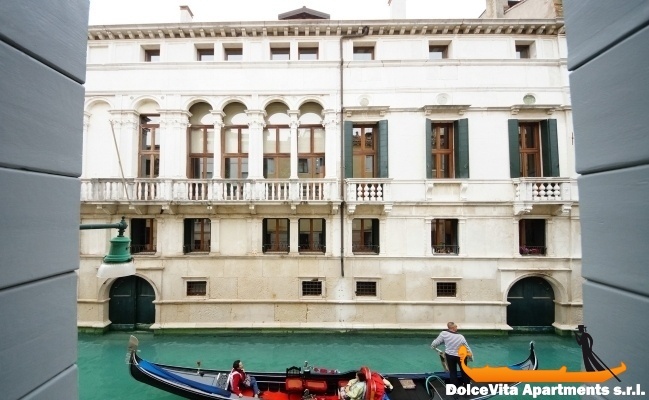 The gondolas regularly going past the large living room windows makes this apartment particularly special. The service has been terrific and communication excellent with everything going smoothly. Apartment kept in excellent condition, with everything you need. Ideal for 3 people and truly strategic location! We found this apartment to be in an excellent location. Very clean and modern. Nice, refurbished, clean. Apartment provided with all you need. Punctual person to get us to the point of appointment. Excellent and simple service. Very good welcome. We appreciated we could leave our suitcases in the building, last day. Nice apartment suitable for 4-5 persons, with all services available (kitchen, basic supplies ...) a few steps from the neighborhood supermarket and fully stocked; it overlooks a canal where gondolas pass with tourists; beautiful feeling of being at home. 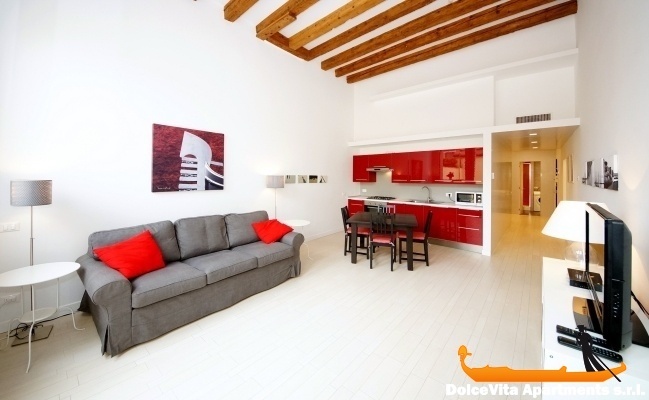 Apartment very well located, tastefully renovated quiet area with views of the gondolas that little girls have very much enjoyed! We will return without hesitation. Thank you for the warm welcome, they picked us up at the exit of the boat to show us the apartment and how to get there. Much appreciated! 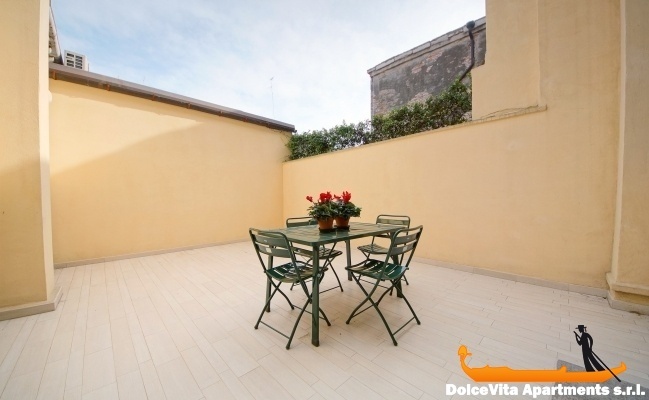 Beautiful apartment very well located in the old town. Good organization at the reservation by internet. The judgment about the apartment is more than positive. We found the apartment very clean and well heated. To welcome us, the Sig.na Orsola that was punctual and very kind. The area is quiet and very convenient, practically in the center. We thank your agency because everything was managed 10 and praise. 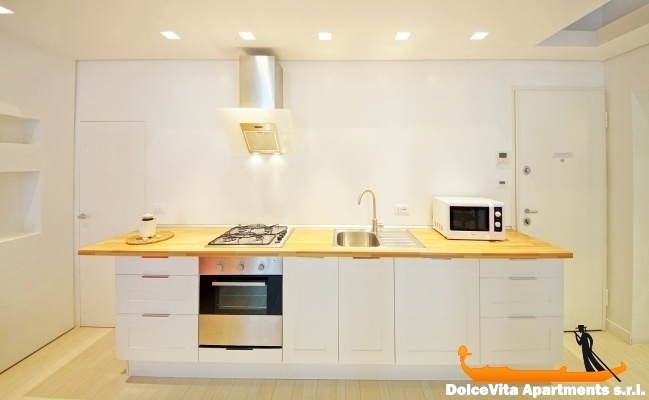 This large apartment is located a few minutes walk from the center of the San Marco place, supermarkets, shops and vaporetto. we loved the apartment – location was fantastic, it was beautifully presented and clean, overlooking a canal. Gondolas went past the window constantly and we spent much time simply hanging out the window, waving to those who went past. Excellent. We were very satisfied. If we return to Venice we know where to book. All right, just as it appears in the photos. Central apartment, comfortable, clean and completely new. Very nice apartment. Perfect for 2 people. I'll recommend it to my friends and I'll come back with pleasure. 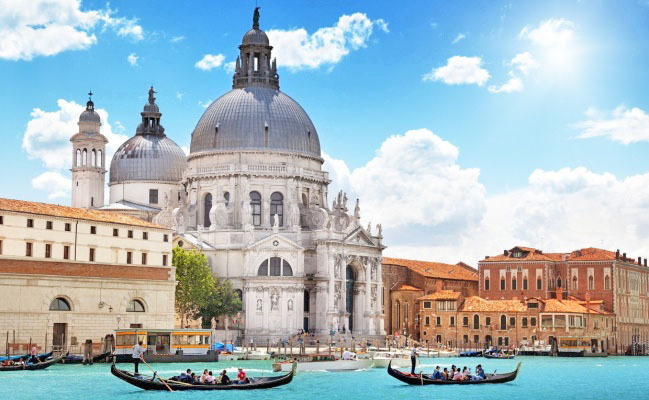 Ideal accommodation to discover Venice. Apartment super well located, completely renovated, clean and with all amenities, including a basic pack for breakfast and for the kitchen (coffee, salt, oil ...). Towels and sheets super good. Very charming terrace and host at all times pending our arrival (we arrived super late, about 23:00). 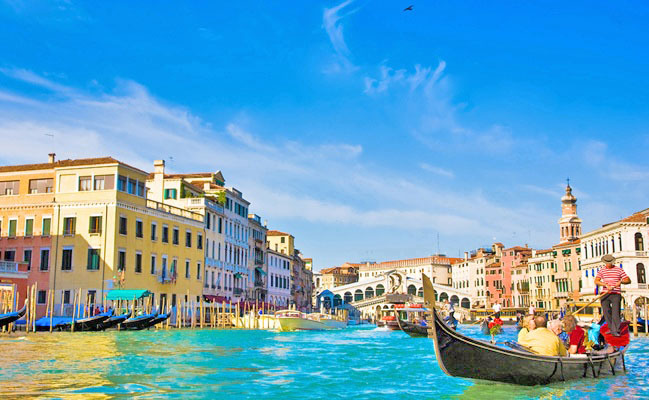 100% recommended If we were to visit Venice we would not hesitate to return. 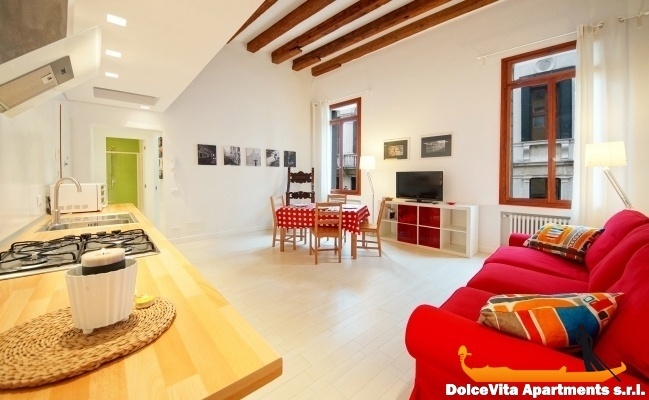 n 152 perfect place to stay in Venise! in a typical venitian street near canals and bridges and palace, very quiet, less than 10mn from san marco place...we will come back! Booking with Eugenia was very quick and simple, good advice, and Orsola welcomed us very well to the arrival of the waterbus stop! 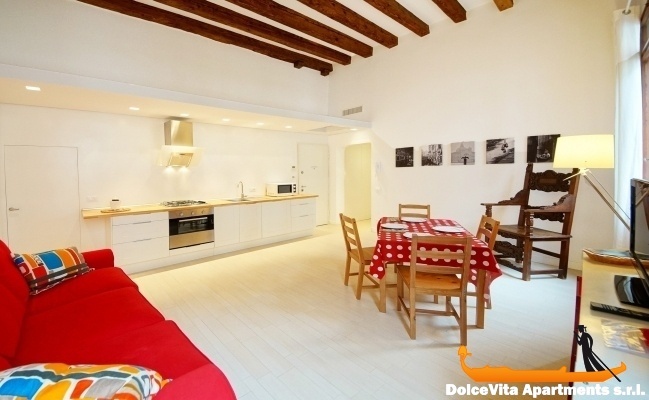 This apartment was ideal for our visit to Venice with 10 year old daughter Lily. It is very well located, clean and modern and all in very good working order. We would love to stay here again. We love the apartment. It is quiet and away from the crowd and yet very accessable to the main part of town. It is well equipped, even though we did not do any cooking. The bathrooms are spacious and airy. Most of all, the canal is just right below our bedroom windows. We could see and hear the gondolas sailing by! We were very happy to stay in the apartment nr 152 San Severo. 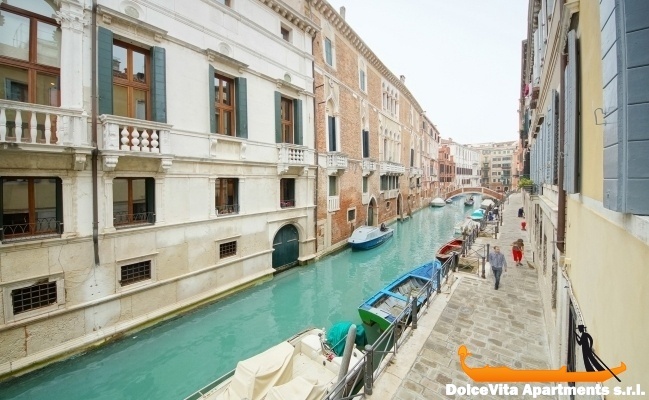 It is very comfortable, very quiet and perfectly located for visiting Venice. In summary, we would like to occupy it again when we return to Venice. We give to it the note 5. 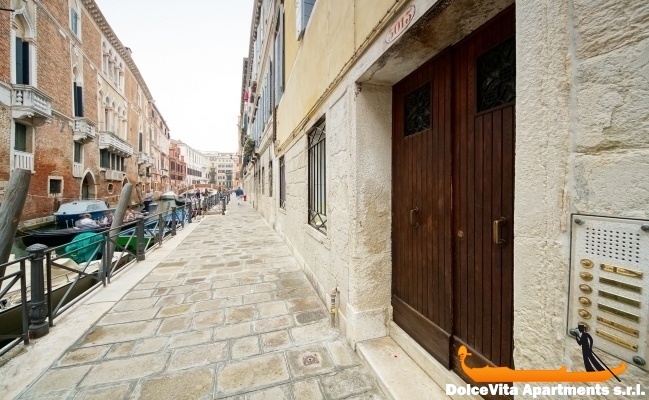 Beautiful apartment, modern, very well equipped, very clean, conveniently located 6 minutes walk from Piazza San Marco, in a beautiful area of Venice, quiet and close to the historical center. We came with our two children (teenagers) and it was a very successful and enjoyable. We highly recommend this apartment. Clean, big enough for 4 people. We spent a wonderful time in Venice!